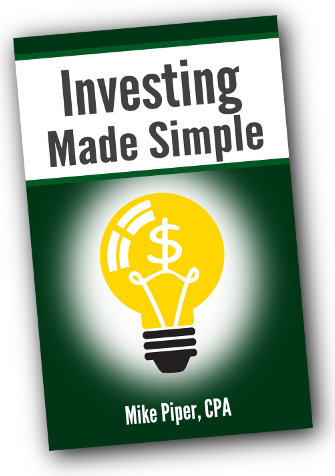 The following is an adapted, excerpted chapter from the 2018 edition of my book Investing Made Simple: Investing in Index Funds Explained in 100 Pages or Less. 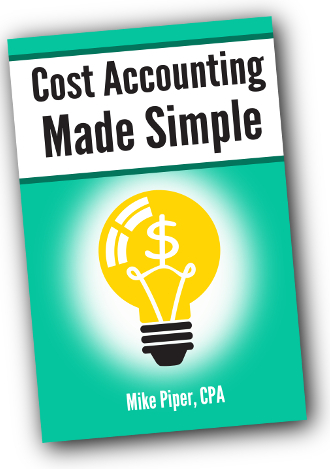 Pay less for a product or service, and you’ll have more money left over afterwards. Pretty straightforward, right? For some reason, many investors seem to think that this rule doesn’t apply to the field of investing. Big mistake. A bit of background: Most mutual funds are run by people picking stocks or other investments that they think will earn above-average returns. Index funds, however, are passively managed. That is, they seek only to match (rather than beat) the performance of a given index. Just about anything else you can think of. Most Actively Managed Funds Lose. The goal of most actively managed funds is to earn a return greater than that of their respective indexes. For example, many actively managed U.S. stock funds seek to outperform the return of the U.S. stock market. After all, if an active fund doesn’t beat its index, then its investors would have been better off in an index fund that simply tracks the market’s return. Less than 23% of taxable bond funds managed to outperform their respective indexes. Now, lest you think that this particular period was an anomaly, let me assure you: It wasn’t. Standard and Poors has been doing this study since 2002, and each of the studies has shown very similar results. Actively managed funds have failed in both up markets and down markets. They’ve failed in both domestic markets and international markets. And they’ve failed in both stock markets and bond markets. The investments included in a given index are generally published openly, thereby making it easy for an index fund to track its respective index. (All the fund has to do is buy all of the stocks — or other investments — that are included in the index.) As you can imagine, implementing such a strategy can be done at a far lower cost than that charged by the average actively managed fund. …then the average dollar invested in the stock market over that year must have earned a net return of 7.5%. Now, what if you had invested in an index fund that sought only to match the market’s return, while incurring minimal expenses of, say, 0.2%? You would have earned a return of 8.8%, and you would have come out ahead of most other investors. Why Not Pick a Hot Fund? Naturally, many investors are inclined to ask, “Why not invest in an actively managed fund that does beat its index?” In short: because it’s hard — far harder than most would guess — to predict ahead of time which actively managed funds will be the top performers. In addition to their “indices versus active” scorecards, Standard and Poors also puts out “persistence scorecards” from time to time. In the most recent one (published June 2017), they found that of the funds that had a top-quartile ranking for the five years ending March 2012, only 22.43% maintained a top-quartile ranking for the following five-year period. Pure randomness would suggest a repeat rate of 25%. In other words, picking funds based on superior past performance proved to be no better than picking randomly! Investors should make expense ratios a primary test in fund selection. They are still the most dependable predictor of performance. […] Stars can be helpful, too, particularly in identifying funds that might be merged out of existence. In other words, past performance can be useful for identifying future poor performers. (That is, the worst performing funds tend to continue to perform poorly, and they are often shut down by the fund company running them.) But if you’re looking to pick a future top performer, picking a low-cost fund is your best bet. And looking for low-cost funds naturally leads to the selection of index funds as likely top-performers. If you’re investing in a taxable account (as opposed to a 401(k) or IRA), index funds can help you not only to minimize costs, but to minimize taxes as well. With mutual funds, you pay taxes each year on your share of the capital gains realized within the fund’s portfolio. Because most active fund managers buy and sell investments so rapidly, a large percentage of the gains end up being short-term capital gains. Because short-term capital gains are taxed at your ordinary income tax rate (as opposed to long-term capital gains, which are currently taxed at a maximum rate of 20%), you’ll end up paying more taxes with actively managed funds than you would with index funds, which typically hold their investments for longer periods of time. Not All Index Funds Are Low-Cost. Do not, however, invest in a fund simply because it’s an index fund. Some index funds actually charge expense ratios that are close to — or sometimes even above — those charged by actively managed funds. It’s a good idea to take the time to check a fund’s expense ratio and compare it to the expense ratios of other funds in the same category before investing in it. Determine your ideal overall asset allocation (that is, how much of your overall portfolio you want invested in U.S. stocks, how much in international stocks, and how much in bonds). Determine which of your fund options could be used for each piece of your asset allocation. Because of their low costs, index funds consistently outperform the majority of their actively managed competitors. A fund’s past performance (even over extended periods) is not a reliable way to predict future performance. Not all index funds are low-cost. Before investing in an index fund, take the time to compare its expense ratio to the expense ratios of other index funds in the same fund category. If you don’t have access to low-cost index funds in your retirement plan at work, look for low-cost, low-turnover funds that fit your desired asset allocation. There are two types of costs imposed on an index fund when stocks move in or out of the index that the fund tracks: transaction costs and front-running costs. Transaction costs are the brokerage costs and bid/ask spreads incurred by buying and selling shares of a stock. Indexes themselves, unlike index funds, have no transaction costs. As such, transaction costs would show up in the form of “tracking error” (i.e., the amount by which an index fund trails the performance of its respective index). As it turns out though, most index funds from reputable providers (e.g., Vanguard, Fidelity) don’t often trail their indexes by amounts significantly more than their expense ratios. In other words, the total transaction costs for such funds are often sufficiently small that they typically don’t even make an observable impact on fund performance. Given the above, and given that transaction costs from stocks entering/leaving the index are only a part of an index fund’s overall transaction costs, we can confidently conclude that the transaction costs specifically resulting from changes in the index must be very small. The second type of costs, front-running costs, are the reduction in performance that results from other parties bidding up the price of a stock by buying shares after the announcement that the stock will be added to a given index but before index funds buy it. It’s difficult to estimate such costs because they don’t show up as tracking error, because such costs affect the performance of the index itself as well as the performance of index funds. In the last decade, two studies estimated the cost of front-running to be in the 0.2-0.3% per year range for index funds that track the S&P 500. That would certainly be a significant cost over time. However, other parties have argued that the cost has likely declined (and will continue to decline) as front-running opportunities are largely eliminated due to the idea becoming so well known. In addition, you’re largely unaffected by such costs if you stick to “total market” funds, because your fund would already hold such stocks well before the bidding up that happens when the stock is announced for inclusion in something like the S&P 500. So in short, yes, costs are imposed on an index fund when stocks are added to or removed from the index that it tracks. However, such costs (both transaction costs and front-running costs) tend to be very small, especially for the most diversified index funds. The idea of the original “8 simple portfolios” article was to provide a menu of several possible portfolios, sorted by complexity (i.e., a one-fund portfolio, two-fund portfolio, and so on). At the time, I listed Vanguard funds simply because they are my go-to company for index funds. But, to be clear, Fidelity does have a perfectly good lineup of low-cost index funds. In addition, they offer commission-free trades on a number of iShares ETFs, which can also be used to build a low-cost, diversified, simple portfolio. As with the previous article, in order to make comparisons easy, each of the portfolios is built using the same overall stock/bond allocation (70/30). There’s no particular reason that a 70/30 split was chosen over any other allocation. Investors with differing levels of risk tolerance would want to adjust as necessary to meet their needs. Each of the portfolios uses a roughly 50/50 domestic/international allocation for the stocks, because that is what I used to use when I had a DIY portfolio. Such an allocation is not going to be a good fit for everybody. Again, adjust as necessary to match your risk tolerance. I’m using the ticker symbols for the “Premium” share class for the Fidelity index funds, but the “Investor” share class versions are perfectly good options if you don’t meet the minimum investment requirement for the Premium versions. With regard to tilting the portfolio toward small-cap stocks and/or value stocks: I have never done this with my own portfolio, but such tilts are one of the more compelling reasons to include several (i.e., more than three or four) funds, so I am assuming that that is the goal of the more complex allocations. 100% Fidelity Freedom Index Fund of your choosing. I would caution against accidentally buying a “Fidelity Freedom Fund” rather than a “Fidelity Freedom Index Fund.” The non-indexed versions are quite a bit more expensive and include a whole list of bizarre allocations.